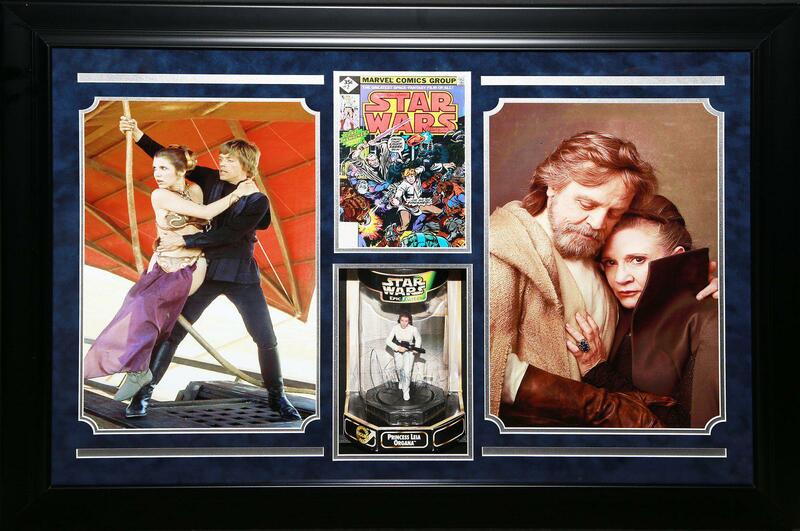 Hollywood Entertainment Memorabilia and Collectibles include an Autographed Princess Leia Organa Star Wars Action Figure (in Box), Photos and Marvel Comics Comic Book Cover of Star Wars. This item is Certified Authentic by Global Authentics. Approx. Measurements of Frame: 40 x 30 inches.